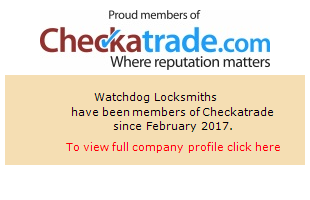 Watchdog, a well-known commercial locksmith in London, offer lock installation, lockouts, lock repair, key replacement, high security commercial lock-repair & installation and other related services to businesses based in London. We only use the best locksmiths we can find who have years of experience alongside a great attitude toward our customers. 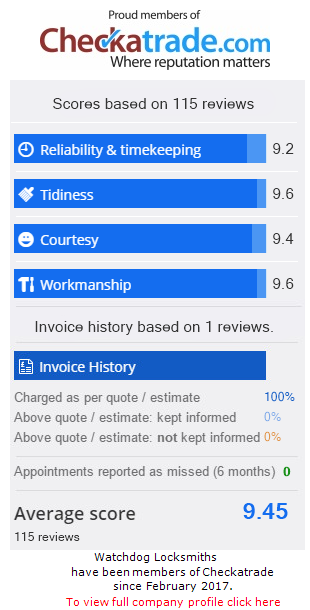 Reputation is everything so we aim to please with a prompt tidy and affordable service. We are available 24*7 and hence, so call us any time, day or night on 0800 389 9965 and we will have a commercial locksmith on their way to you. With an aim to provide security to businesses and the residents of London around the clock, Watchdog was founded. Since then we have grown as a company and our reputation as being reliable and affordable has also grown. We provide new locks, keys and even safe repair as well as installation services of locks and safes. We pride ourselves on being quick to respond , quick to repair and use only the best brands in the business. NO matter wherever you are located in London and no matter whatever your problem might be with your locks or keys Watchdog like to think we are the fastest, most reliable and most affordable provider. We locksmiths at every prime location of London which mean they can get to you in record time. Why not have a look at our reviews here. Call for an emergency locksmith on 0800 389 9965 and let us prove why it was the right choice to choose Watchdog Locksmiths.